This summer has been one like no other. I've made some incredible new friends, both at home and thousands of miles away. I've served God in Wales, then got detoured for two days in Ireland. I went to my first NFL game. I applied for college graduation. I said no to a lot of potential internships, and I said YES! to the perfect one. I got baptized. I saw the US Men's National Team take on Nigeria in a friendly before they left for Brazil for the World Cup. I witnessed the unveiling of the world's largest high-definition video boards. I took a tour of EverBank Field, where I got to walk out onto the field to be overwhelmed by those scoreboards. I met the Jaguars number one draft pick, Blake Bortles, twice! There was a lot of happy hour drinks, and late nights out with friends. I took a Disney cruise with my family! But most of all I learned a lot about myself and the world around me. When looking for a new job, internship, places to hang out, or shoes you have to know exactly what you want.Committing to something you don't want is only going to end badly. You are your biggest worst enemy in this case. All of those old cliches your mom used to tell you "if things sound too good to be true, they probably are" are true in this case. Especially those shoes that say they are comfortable all day long- they aren't. 2. It's okay to go to events alone. Before this summer, I had this immense fear of going to big events alone. And by big events, I mean sold-out concerts, sporting events, and things with a guest count over 10,000. If I didn't have a friend to go with me, I didn't go. Well that changed. I can't stop living my life because people are busy and can't go with me to things. I had to see the USMNT before they left for Brazil, so I bought my ticket and I went. ALONE! And you know what? I had a great time. I had planned on seeing those scoreboards that are bigger than the field itself by myself, until the guy who was supposed to sit next to me (a stranger) never showed up and I knew my aunt and uncle were at the same event and they came to sit with me in the front row. I take solo beach trips and lunch dates because some days you just have to do you. 3. Put your yes on the table. God is going to call you to do weird stuff. I know that, otherwise I probably still would have no idea where Wales is at. Even outside of traveling to Wales again, God called me to do some really random things. But that's a post for another time. My point here is to say when God tells you to do something there should be no arguing, even though we all, myself including, do it all of the time. Putting that yes on the table for the world to see is one of the greatest, scariest, and most fulfilling things I have ever done. 4. Making new friends is the best. This summer I got the chance to make new friends, not only at home, but in Wales. The new memories I made with those new friends are ones I'm going to keep forever. From riding in a taxi for the first time, to cheering on the USMNT while they were in Brazil, to hiking through a slate quarry, and hanging out in the kebab shop while dinner was being made. Wherever those friends are today, I forever want them to know that they are immensely and deeply loved. 5. 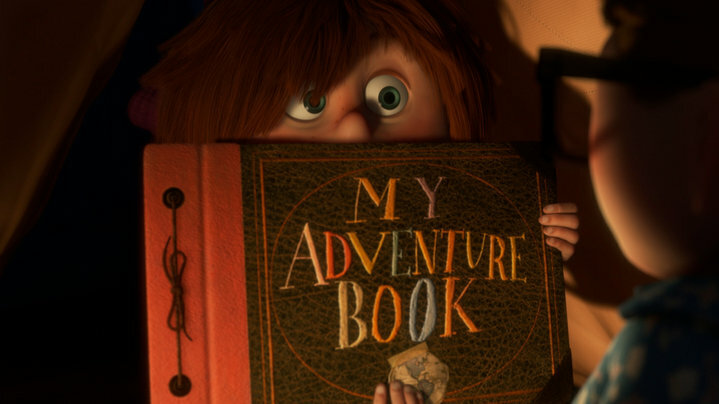 The end of summer is the start of a new adventure. With the end of summer also comes the start of the last semester of my college career. I have already applied for graduation, so it just got even more real for me that what people have been calling "the real world" since high school is getting closer. But that doesn't really mean much to me. I know that God has this grand epic laid out for me and I know that I just have to say yes. Whatever lies ahead, I am not going to fear because God has already gone before me. Whether that means continuing to live in Jacksonville for a little while, moving to a new city to work, or moving to Wales, my answer will be yes to whatever new adventure is laid out. Currently listening too: DJ Earworm "Mashup For What"